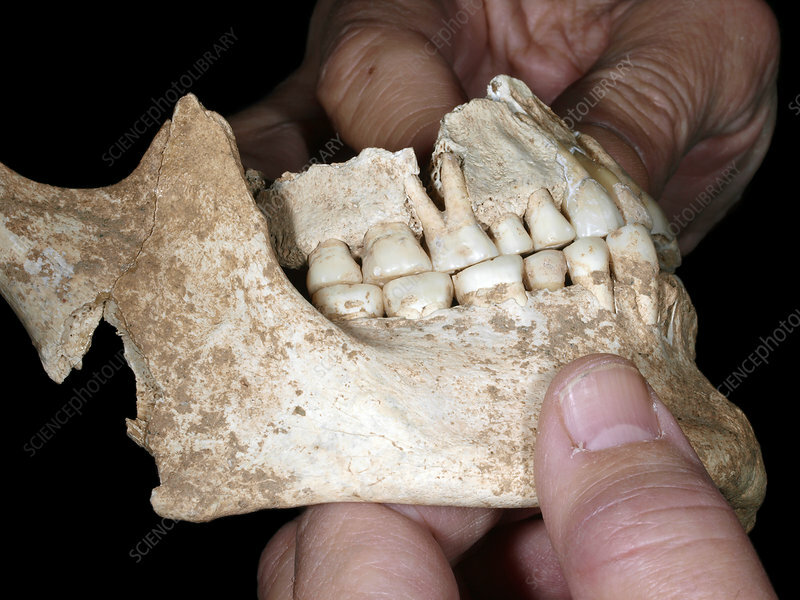 King Philip II of Macedon's jaw bones. This bone was found in Tomb I at the Great Tumulus at Aigai, near modern Vergina, Greece. Age estimation techniques show the body to be that of a middle-aged male, which is consistent with Phillip II's death at 46 years old. Also found was a leg bone with a massive knee ankylosis (fusion of the joint) and a hole, which are consistent with a penetrating lance injury received by Philip II in 339 BC. Also buried in the tomb were a young female, Philip's wife Cleopatra, and their newborn son.